We stayed at the Punta Gorda Waterfront Hotel and Suites (pictured), 300 W. Retta Esplanade, Punta Gorda, Fla., on Feb 18, 2015. Looking back, the hotel, which appeared to be undergoing some renovations, had both pluses and minuses. On the plus side, I selected the hotel for two reasons: 1) We had an early flight on Feb. 19 out of the Punta Gorda Airport, and the hotel is not far away. It’s a 15-minute trip when there’s traffic and about half that when there’s little traffic. 2) The hotel location is beautiful. 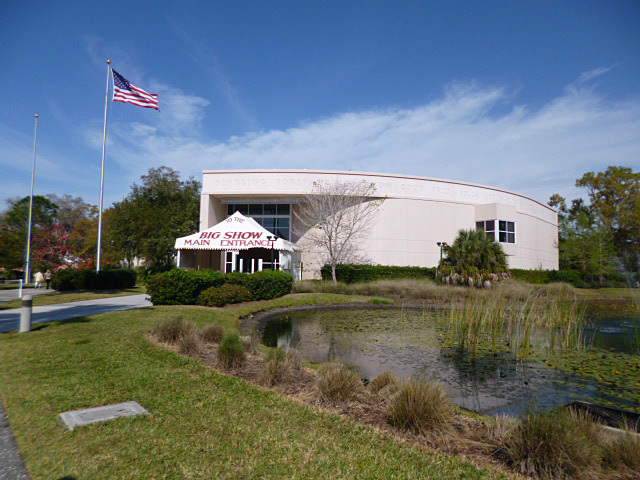 The facility is situated on the bay that separates Punta Gorda and Port Charlotte. Other plusses include a clean room with microwave, refrigerator, free Wi-Fi, etc. Minuses included the price for one night, a whopping $211.68 ($189 plus $22.68 tax) for our standard room with the water view. The room had a desk and chair for computer work, but a round table was chairless, meaning there was only one chair in the room for two people. Even if the round table had come with a chair or two, it would’ve been difficult to use for dining etc. because it was so low to the floor. My main complaint, however, was a requested 5 a.m. Feb. 19 wake-up call that never came! Before turning in for the night, I tried repeatedly to schedule the wake-up call using the hotel’s automated phone system. But all I ever got was a busy signal. So I called the front desk and made a verbal request to the desk clerk. As stated, that call never came the next morning. Had we not set one of our phone’s alarm as a backup, we would’ve missed our flight. 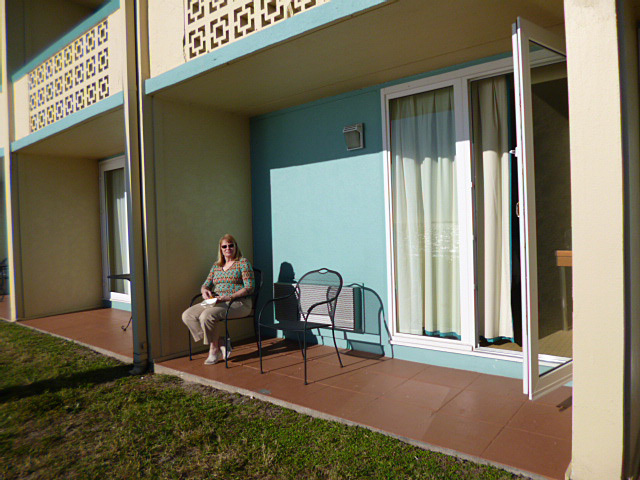 In summary, there are other hotels not far from the Punta Gorda Airport that go for a lot less money. 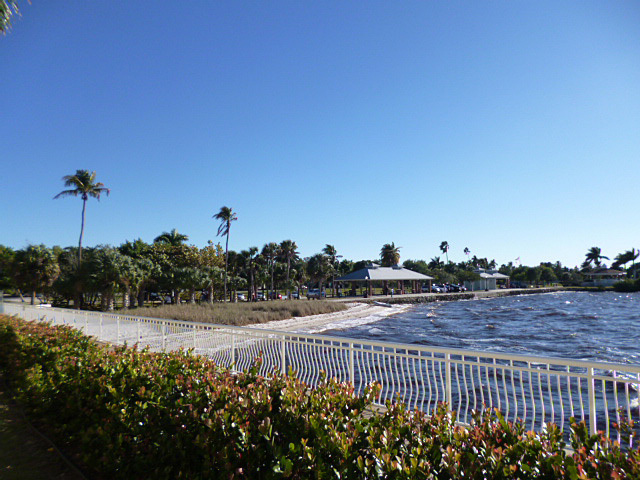 Water view or no water view, I would recommend one of them over Punta Gorda Waterfront Hotel and Suites. 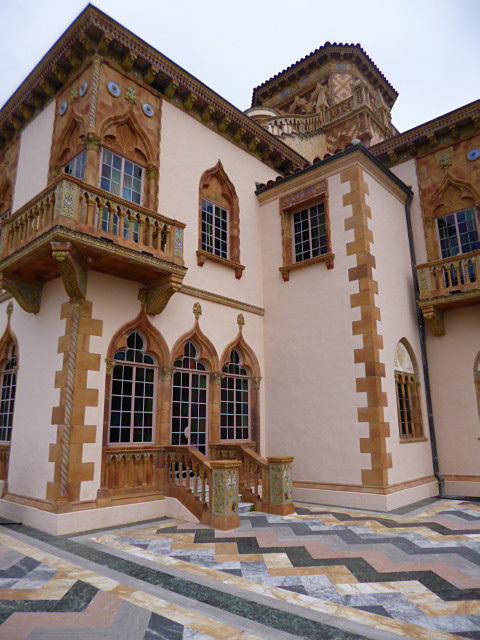 Circus fanatic or not, the Ringling complex in Sarasota is worth your time. 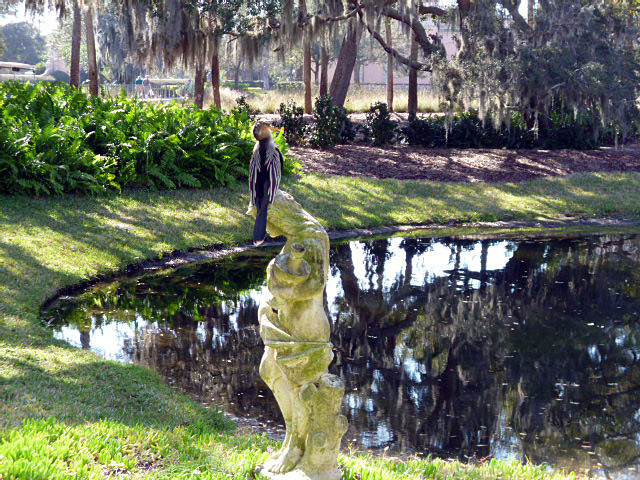 Sherry and I were in Florida several days in February to visit her sister Cindy and Cindy’s husband, Mike. They spent January, February and early March in the Sunshine State, trying out condos in various locations and, thereby, missing out on a lot of winter weather at their home in western Illinois. Their condo was on Siesta Key, near Sarasota, when we visited. Though we didn’t take time to visit The Ringling Museum of Art, all of us spent several hours touring the circus museum and gardens. I continued to enjoy the gardens on a 70-degree day and took a tram ride around the facility while the other three also toured the Ringling mansion. 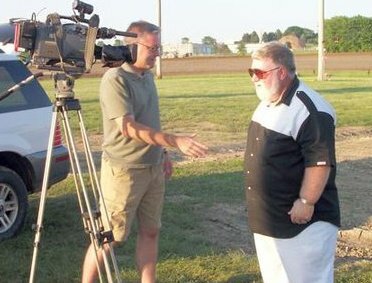 I’ve seen a lot of circuses in my years and have an appreciation for the people — both those working behind the scenes and the performers — who make them happen. But I wouldn’t call myself a circus fanatic. 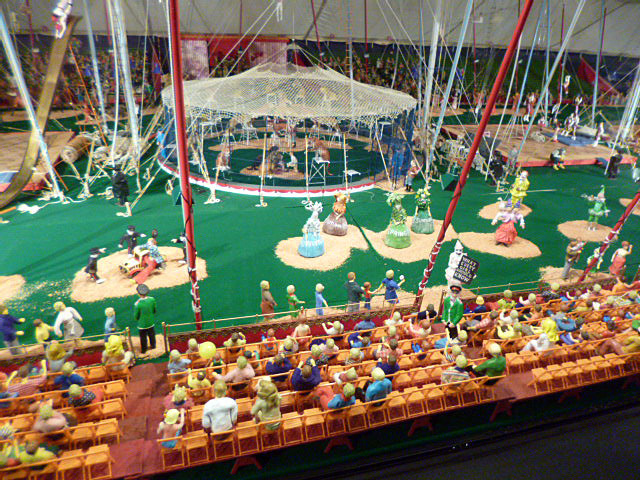 Nonetheless, I found the Ringling attraction impressive and well worth my time. Our foursome was there for several hours. 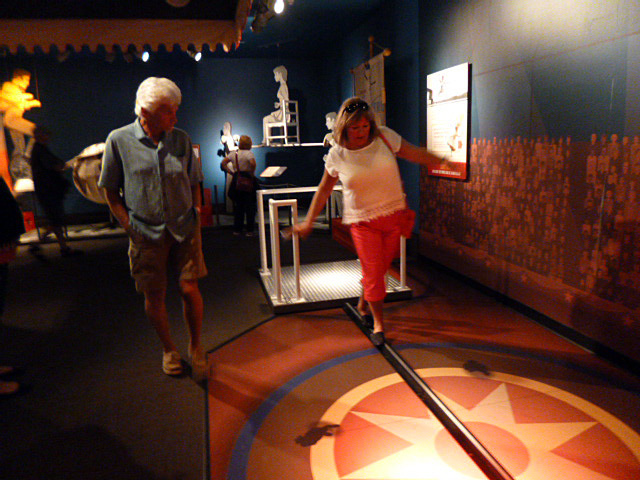 My favorite part was the circus museum, filled with circus memorabilia, all attractively displayed. Photos are permitted if you don’t use your camera’s flash. 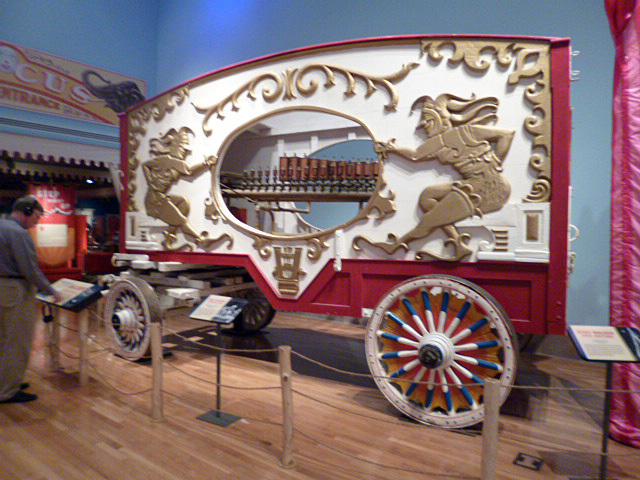 Among the items to see were glittering circus costumes, ornate circus wagons, videos of performances, a variety of historic circus posters and the 44,000-piece Howard Brothers Circus model. Many of the displays are interactive. 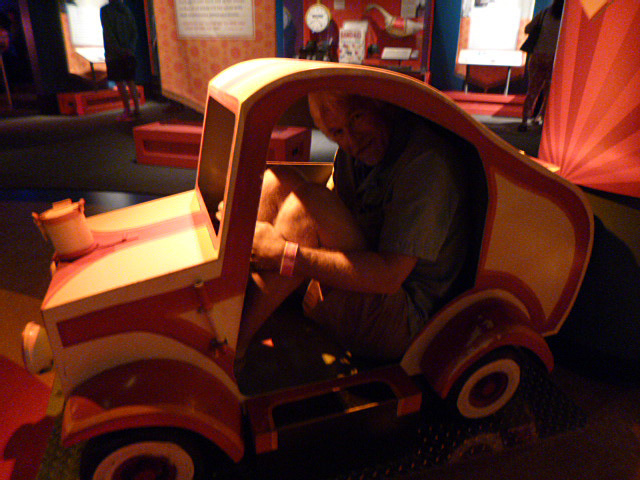 For example, you can try walking on a tight rope or do your best to cram yourself into a small clown car. The attraction also includes cafés and a gift shop. 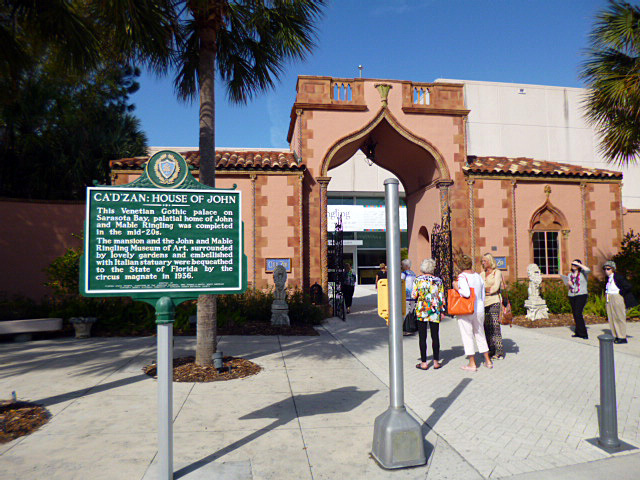 Museum admission includes entry to the Museum of Art, Circus Museum, Ca’d’Zan and Bayfront Gardens. It’s $25 for adults, $23 for seniors 65 and over, $5 for children ages 6 through 17 and students 18 and over with an ID. Children under 5 are free and admission is only $10 each for U.S. active military and Florida teachers with an ID. The website is ringling.org and the phone number is 941-359-5700. The museum is open daily from 10 to 5 and until 8 p.m. on Thursdays. The Bayfront Gardens are open from 9:30 until 6. Everything is closed on Thanksgiving, Christmas and New Year’s Day. If you aren’t driving to Florida, you can do what we did — take a no-frills, but direct, flight on Allegiant Airlines from Moline to the small airport in Punta Gorda. Fla., about an hour’s drive south of Siesta Key. We flew to Florida on a Sunday and returned home the following Thursday. 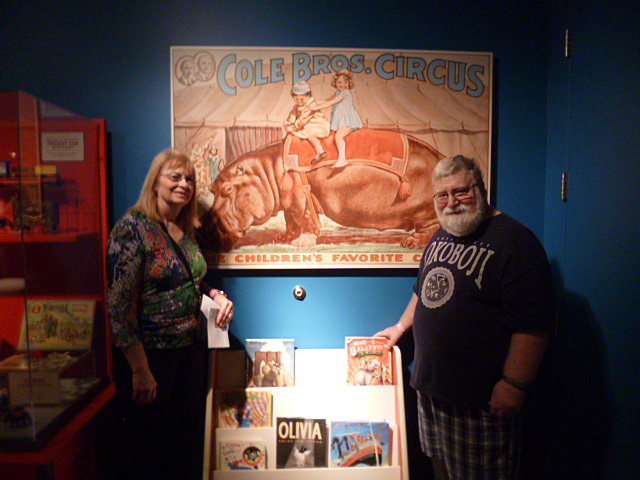 An interesting sidelight: The day we visited the Ringling complex I was wearing a University of Okoboji T-shirt. The University of Okoboji is a fictitious university created in the early 1970s by three brothers who printed T-shirts with an “official” school crest. 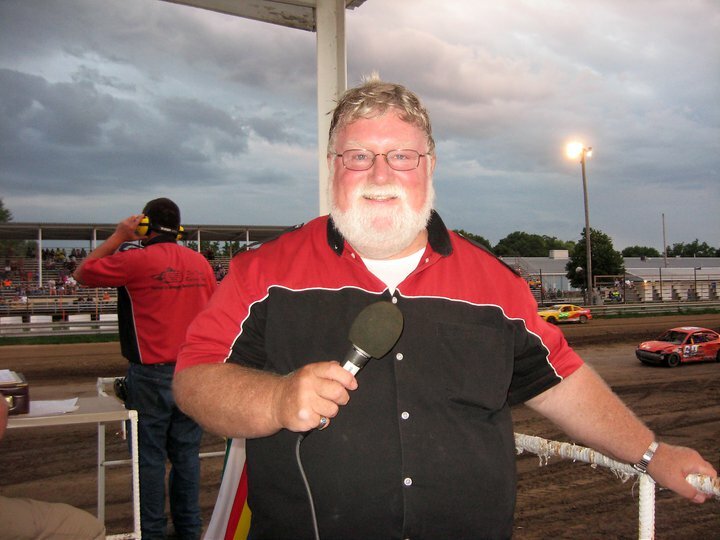 The word “Okoboji” refers to some lakes, including Lake Okoboji, and the town of Okoboji in Iowa’s Great Lakes Region.